Apparently, Kilian Jornet heals fast. The endurance runner won Marathon du Mont-Blanc on July 1 after breaking his leg three and a half months ago. Jornet proved he’s back in action, winning the 26-mile race for the fifth time in 3 hours, 55 minutes, and 54 seconds. The race is the second stop of the Golden Trail Series. The ultrarunner’s determined expression during the race didn’t reveal his level of mental or physical pain. But an acceleration away from the elite pack three miles before the finish proved Jornet was healed. He wore S/Lab Ultra shoes for the win. 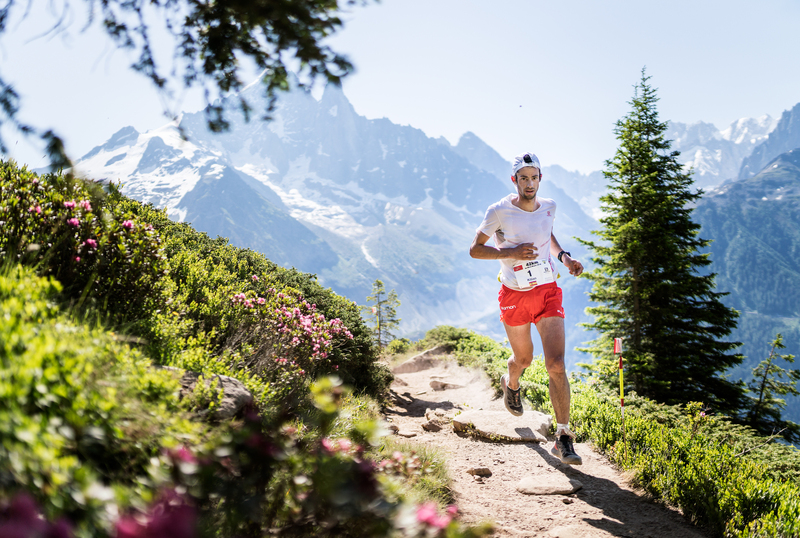 Jornet’s Salomon running teammates Marc Lauenstein, Stian Angermund-Vik, Thibaut Baronian, and Aritz Egea swept the remaining top five places at the mountain marathon in Chamonix. 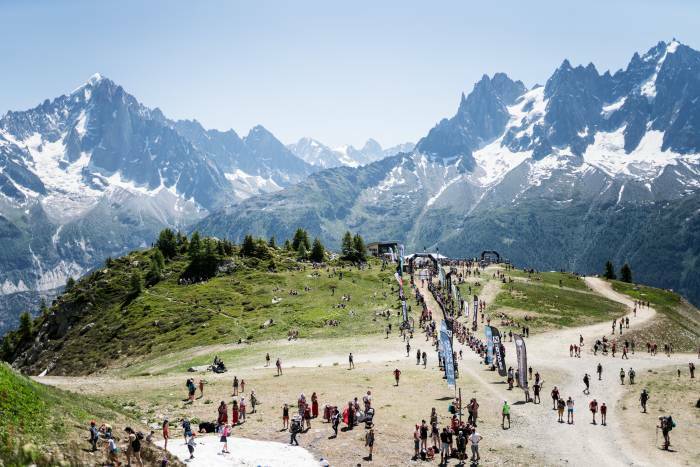 Marathon du Mont-Blanc was Jornet’s first win since he broke his fibula in a fall during a mid-March ski mountaineering race in the French Alps. But Jornet said it was the hot weather that made Sunday’s Marathon du Mont-Blanc a challenge, not necessarily his injury. The Marathon du Mont-Blanc is not your ordinary marathon. Run primarily on trails, it ascends nearly 9,000 feet over the course of 26 miles. Racers face super-steep ascents and blistering descents. It wasn’t Jornet’s fastest finish in this race (he went 3:30:41 in 2013 among five wins). But in running the brutal course in under four hours, he proves he’s back on his game. Even as he’s recovering from injury, elite ultrarunners will have their work cut out topping this phenom. Associate editor Julie Kailus has spent a career covering people, places, and products in the outdoor industry. Julie can be found testing the latest and greatest in her favorite activities — trail running, mountain biking, swimming, snowboarding, and the underrated endurance sport of chasing two sons around the mountains.